When you browse all the beautiful design catalogs and building tech magazines available, it often makes us want to revamp our own backyard. And the value it brings goes well beyond the dollars spent. A backyard deck can add oodles of style and appeal to an otherwise simple area of your home. Here’s what you need to know before you add a deck. 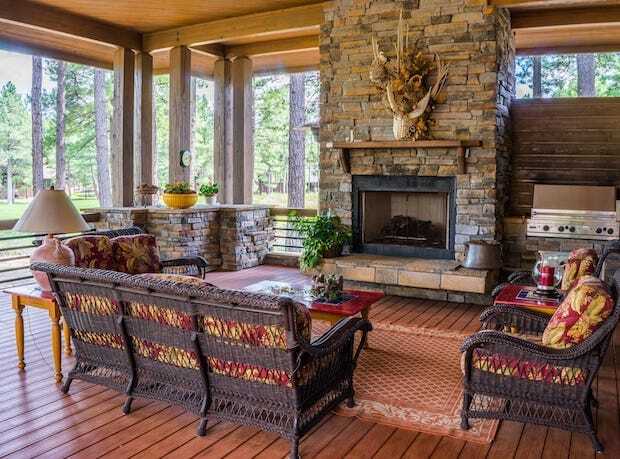 your home, there are numerous ways to make the most of a deck. Most people today opt for wood. Timber wood is an excellent choice because it is a material that is very easy to work with and is flexible so it allows for many different deck designs. It’s also a durable and sturdy material that can withstand the wear and tear that results from changing climates, while also providing insulation. For more ideas on how timber works as a building material, check out timber frame houses by Hamill Creek. Deciding on a deck design can be confusing. So here are some different designs and types of decks to help you see what might work for your home. Garden decks are wider and sprawled out in their design so that they can accommodate enough plants, creepers and even small trees. Based on how much space you have, a garden deck is perfect for a home that doesn’t have a big lawn or has minimal backyard space. For who love to garden, a deck can be the perfect spot to do it! Want to enjoy a high-tea session when there’s a light rain? Then a covered deck is a great option. You could go for either a wooden or a glass roof, based on your preference, and it helps if you can add light and decorative items to the roof to emphasize appeal. Covered decks are also perfect for hot summer days when you don’t want to be hit directly by sunlight. Are you a fan of outdoor barbecues and cooking sessions? If yes, then an outdoor kitchenette might be what you need. 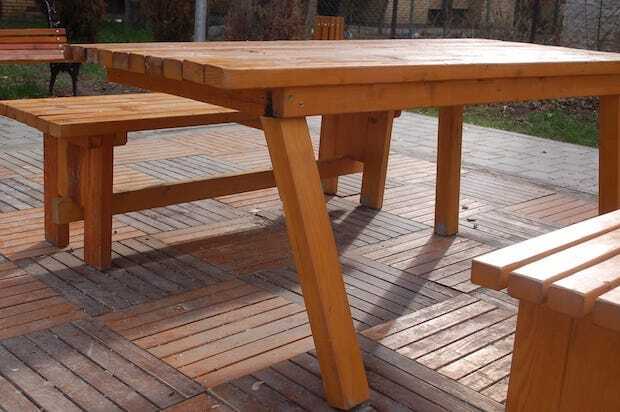 You can place your kitchenette on a beautiful backyard deck making it more convenient for outdoor cookouts. Kitchenettes on the deck work well for picnics and lawn parties. Some designs even allow you to remove and place back different parts of the kitchen with ease. Backyard parties are an absolute hit, especially in the summer and spring, and that’s what makes an outdoor kitchen such a great idea! Why limit how much you can do with your backyard deck? If your plans permit it, you can easily add in a hot tub on your deck and turn it into your very own outdoor spa! Teamed with some aromatic plants and a simple outdoor shower, relaxation is just a step away. What’s more, a wider and more spread out deck allows you to bring in a cozy seating area for reading or practicing yoga and meditation. There’s something just so serene and pleasing about the color white. In design, you can go for a Greece-themed, all white deck with some hints of aquamarine blue. This completely transforms the look and feel of your backyard. White, being such a versatile color, will allow you to experiment with furniture and various color schemes. 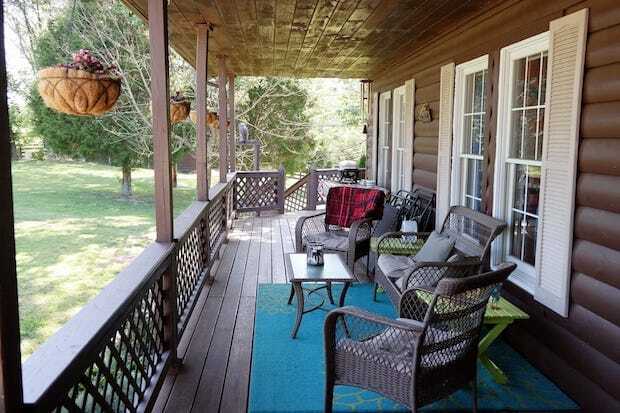 A deck can also be a great meeting place for family gatherings or even an outdoor office. Instead of purchasing separate seating, consider having deck furniture built that matches the deck. Whether you prefer a more modern style or a Victorian style, a seating deck can accommodate any of those designs. If you have little ones and pets at home, you might want to consider constructing a deck that is safe for them. Typically the deck would be low in height, with wider steps, and a more rough surface to help prevent people from falling or slipping. You could also add in small, fun elements in terms of design, or even an innovative slide or swing to really amp it up and make it fun for all ages. A spacious backyard is an absolute boon because there’s so much you can do with it! So, if you have room in your backyard and you aren’t utilizing it to its full potential, a beautiful deck is a great place to start. It can make your home more comfortable and valuable. Just make sure that the design and build of your deck fits your lifestyle and works well with the design of your home. And, be sure that the materials you select are durable, easy to maintain, and will last a long time. Want to see what’s possible for your home? Contact us to get a free consultation and we’ll come out and share some ideas for your outdoor space. Editor’s Note: This is a guest post from Hamill Creek.